If you enjoy music or podcasts via your Apple Watch, Airpods are a must for the best experience. With Series 3 LTE models, Airpods are a lifesaver when it comes to switching between calls and music. Most of the times, the Airpods work as expected but sometimes especially after watchOS / iOS upgrades the airpods can act up and you are left with a pair of pods that simply don’t want to play along with your Apple Watch. 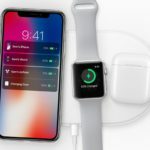 Are your Airpods not connecting to your Apple Watch? 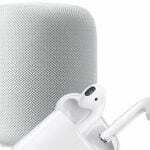 Interestingly enough, the Airpods don’t seem to have any problems when trying to play music from your iPhone, Apple TV or Mac. On these devices, they connect well and function as intended. On the Apple Watch however, the Airpods do connect without any issues but you get the “Connection Failed” message when you try to listen to music or a podcast. 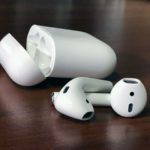 If you are facing this issue, and your Airpods and your Apple Watch have enough charge left, here are some common tips that can help you overcome the problem. In our experience most Apple Watch related connection issues can be fixed via a simple restart process if you follow the sequence correctly. Turn On your iPhone and then your Apple Watch. This is important. If you turn on your watch first, it doesn’t work. Once both the devices have turned on, connect your Airpods to your Apple Watch and give it a try. If you are still having the connection fail issue, try to establish a new Bluetooth connection for your Airpod. Using your iPhone, Tap on Settings > Bluetooth > Choose the Airpods and tap on the “I”. Next, choose “Forget this device”. Now plug your Airpods in your ears and then pair it with your iPhone. Connect your Airpods with your Apple Watch and check if they start playing without the “connection failed” error message. With the Airpods in the case and with the lid open, press and hold the little button on the back of the case till the light flashes three times. 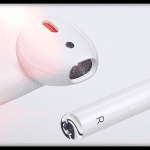 Now Re-pair your Airpods with your iPhone before you connect to any other Apple device. 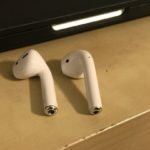 Once the Airpods have connected to your iPhone, try and connect them with your Apple Watch and check if the issue is resolved. For the best music experience with Apple Airpods, try changing the equalizer preferences on your iPhone. Tap on Settings > Music and scroll down to the Playback section. Tap on EQ and change the preferences here to make it a more personal sound. For users that complain about lack of bass, you can try the “Bass Booster” and give it a shot. Try out the other options and see which one sounds the best to your ears. We hope that one of these three steps above was helpful in resolving this connection failure issue between your Airpods and Apple Watch. Sorry that your Apple Watch is not connecting to your AirPods. 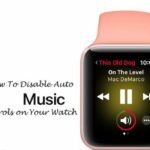 First, make sure that both Low Power Mode and AirPlane Mode are off on both your Watch and iPhone. Then, check that your AirPods are paired to your iPhone, then restart your Apple Watch and see if the AirPods now show up. If your iPhone and AirPods are already paired with the iPhone, unpair them and try pairing your iPhone and AirPods to each other again (go to Settings > Bluetooth > tap the i icon and choose to Forget This Device.) Then go through the pairing steps again. Once your iPhone and AirPods are paired, keep them close and take the AirPods out of the AirPods case then open your Apple Watch Settings App > Tap Bluetooth and look for your AirPods under Devices. Tap your AirPods name to connect. carissimo, mesmo com tudo isso..
usava o iphone 6 plus normalmente, nele tufo conecta..
agora estou a usar um iphone x… ja tentei de tudo, formatei varias veses…. even with all this ..
used the iPhone 6 plus normally, with it, stuff connects. From what I understand, your AirPods are not connecting with either your iPhone X or your paired Apple Watch. And you’ve tried the steps listed in the article but nothing is helping. 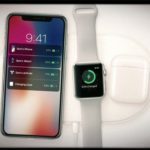 Pelo que entendi, seus AirPods não estão se conectando com seu iPhone X ou com o Apple Watch emparelhado. E você tentou as etapas listadas no artigo, mas nada está ajudando. Please set up an appointment at your local Apple Store so they can assist you in-person. Por favor, marque uma consulta em sua Apple Store local para que eles possam ajudá-lo pessoalmente.